We take the view that funeral insurance is expensive and bad value for money, especially when there are many cost-effective alternatives. As an example, paying an average of $500 for 40 years for a $10,000 benefit works out to cost $20,000 which is twice what the sum insured is for. Anyone over 50 years of age will pay as much as $500 to $1,000 per year for cover per the policy data we gathered. This is a significant cost - stop paying and not only are you no longer covered, your funeral costs will still need to be paid. Even though funeral insurance is a risk product, we see this as 'money lost' which could have been directed into a prepaid funeral plan. Your bank can release money specifically for funeral costs upon death. Writing a will means your final wishes are clearly explained. WINZ grants (as explained below) can provide up to $2,000 if your estate has no assets and family members are below a certain income. 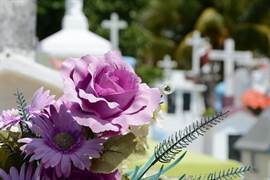 A limited number of life insurance and health insurance policies include funeral costs, although both options are not substitutes and can be very expensive in their own right. Death is certain, but what is the cost? On average, New Zealanders have a higher life expectancy than people in other nations. As science and medical technology advances, we may live even longer in the future. Death is a certainty, and according to media reports, a simple funeral can cost as much as $9,000. Because payment is needed right after death, funeral insurance can step in to pay the costs associated with a funeral and burial. Is Funeral Insurance Suitable for You? Funeral insurance is an insurance policy that pays its benefit on the death or diagnosis of a terminal illness of the policyholder. The payment from the insurance company goes towards funeral costs. This means that at the time of your death, your loved ones do not have any financial worries about funeral and burial expenses. Depending on your health and age, most New Zealanders will qualify for funeral insurance when aged between 18 and 70. A policy can guarantee a funeral if you do not have the financial means to meet the costs associated with a funeral. How much is a funeral in NZ? 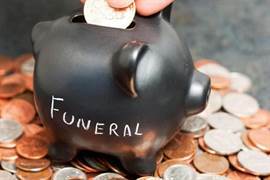 The Citizens Advice Bureau estimates a funeral will cost around $8,000 to $10,000. Cremations are cheaper than burials, and where you are buried also is a factor (plots in Auckland, for example, are more expensive than those in Invercargill). Our view is that $10,000 or $12,500 is a safe amount to budget or insure for. This helps to prevent the risk of unpaid bills once the funeral is over. The policy cost depends on your age. If you are a 50 year old male or female non-smoker looking for $10,000 cover, the annual cost is between $300 and $550. Prepaying your funeral protects your family from a financial burden later on. The benefits include locking in a funeral at today's prices, planning your funeral in detail exactly allows you to plan and pay for your funeral in advance which helps ease the financial and emotional burden on your family. Best of all, funds are held safely in trust for the sole purpose of paying for your funeral. Many prepaid options offer payment plans. The disadvantage is that you can only purchase a prepaid funeral with funeral directors who offer this as an option, but many do so shopping around and coming shouldn't be difficult. 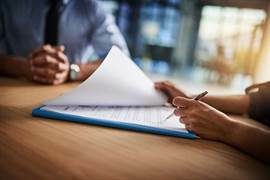 Some banks can release money from the deceased's bank account right after death (and before probate) to assist with paying the funeral invoice; if the invoice exceeds what is in the account, the bank can make a partial payment with what money is available. This does not extend to other assets held by banks (such as investments, i.e. KiwiSaver balances), nor does it cover additional funeral costs such as the cost of travel for relatives. It does however give an option for settling immediate funeral bills. If you have an existing policy, check with your insurer to find out. If you have both health insurance and life insurance and both policies cover funeral payouts, it can be a good idea to scale back cover on one of them to avoid paying for it twice - talk to your insurer about this. It's a fact, and the policy costs can be 50%+ higher for smokers, all other factors being equal. If you smoke and are thinking about funeral insurance, prepaying for a funeral is likely to be a better option as this doesn't discriminate because of your habit. A study in 2016 by Consumer confirmed that 9 of the 10 policies analysed kept charging policyholders after paying as much in policy costs as would be paid out in benefit when they died. For this reason, it's important to be clear - funeral insurance is not a savings product; it's a risk product. It works just like car insurance or life insurance. As people live longer, the annual cost of funeral insurance will most probably rise. For this reason alone there is an uncertainty in how much you will pay - it could be twice or three times in total what your funeral costs. When you sign up to a policy, there is simply no way of knowing what you will pay in total. We believe alternatives to funeral insurance offer better value for money; prepaid funerals being a popular example. Our research indicated that between the ages of 65 and 75, you could have easily paid more in premiums than the cost of a funeral. For a prepaid funeral plan to work, the plan needs to be free of fees and the money invested must be safe. Few providers offer prepaid plans and there is no regulation around such schemes. The benefits of a prepaid scheme are numerous. You know exactly how much you will pay upfront with no nasty surprises, compared to an insurance company which may not pay out at all if your cause or time of death isn't covered. If you do not pay your premium within the period set by the insurer, you will get a reminder. If the balance remains unpaid, your policy will be cancelled. This means that you will no longer be covered and the money previously paid has no future benefit. Again, prepaid funerals or setting money aside for a funeral is likely to solve this issue far better than funeral insurance. Doing so prevents the risk of 'lost' money as there is with funeral insurance. Every cent from day one that you spend on protecting your family from the costs of funeral goes towards your funeral costs. It's only if you die before the amount is fully paid that your family would be worse off. Disclaimer: Specific Funeral Insurance policies and their terms and conditions differ between insurers. We make no representation that the quotes below imply that the policies are the same in form and substance. Please review policies in detail before making any decision. The cost of funeral insurance more than doubles between the ages of 50 and 70 for a non-smoking male. Between the age of 65 and 70, it is reasonable that the average non-smoking man would pay around $5,000 in policy costs in just five years. Quotes obtained 10 November 2018 from AA, Cigna, Countdown and Greenwich. LifeDirect.co.nz provided pricing for Fidelity Life, Partners Life, Pinnacle Life and Legacy Life. We're not a fan of funeral insurance, and Consumer New Zealand isn't either. We think they are poor value for money and don't recommend any policies for this reason. Worst of all, it's unknown at the time of signing up what the total cost of a policy will be - a 60 year old signing up who lives to be 80 could pay as much as $20,000 for a policy worth $10,000. 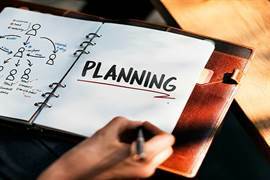 Funeral insurance may give you a policy that meets the cost of a funeral in the future, but this leaves you with an ongoing financial obligation that can work out to be very costly and put you under financial stress. If you live longer than expected you may end up paying more in premiums than the cost of the funeral. If you miss a payment, you run at risk of your policy being cancelled and leaving your loved ones exposed to the costs in a time of need. If you're looking at funeral insurance, consider prepaid funeral plans. This is most often considerably better value for money and lets you plan your funeral in detail with a funeral director. Having a will is also important; your bank often is able to settle funeral costs upon death as a matter of priority. 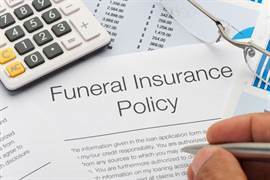 If you feel as if you really would like to have funeral insurance, make sure you understand all the terms and conditions of the policy.